Sydney Kamen has always been concerned with helping others. In 2004, when genocide was raging in the Darfur region of Sudan, Kamen’s mother announced that instead of Chanukah gifts that year, Kamen and her sister should research and select a charity to support. At Jewish religious school on Sundays, Kamen went on service trips to soup kitchens, and through Georgetown Day School, she spent time at a women’s shelter in downtown Washington, D.C. Her first experience with aid work in a developing country was when she was 15 and fought to participate in a 10-week relief mission to Haiti for dentists and oral surgeons. She was hardly deterred by the fact that she wasn’t a dentist — or a grown-up, for that matter. In Haiti, she traveled around the country in blistering heat helping set up clinics offering oral care. Adults with severe abscesses came, bringing children whose teeth were damaged from eating flour mixed with soil because they could not afford to buy food. “That kind of exposure was eye opening to me,” Kamen recalled. Nevertheless, Kamen was surprised to learn on a sophomore year service trip to Thailand how something as basic as soap and water is a luxury for many — one they can ill afford to forego. Then she had an idea: What if luxury hotels donated their unused soap? 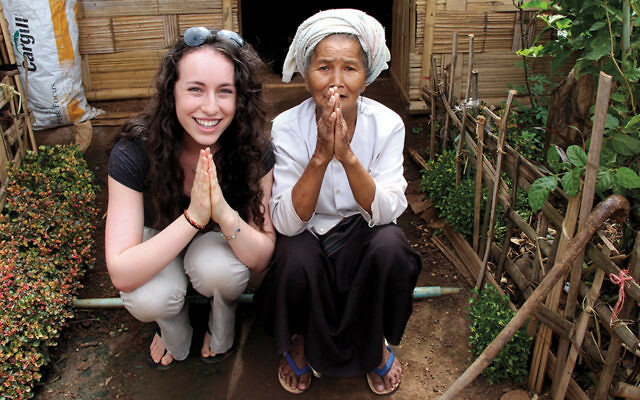 By the time she returned to Thailand and Myanmar the following summer, Kamen had come up with a fully developed idea for a project that would not just deliver soap to those who needed it, but also help local women spread the message about the importance of soap in maintaining health — and pay them in the process. 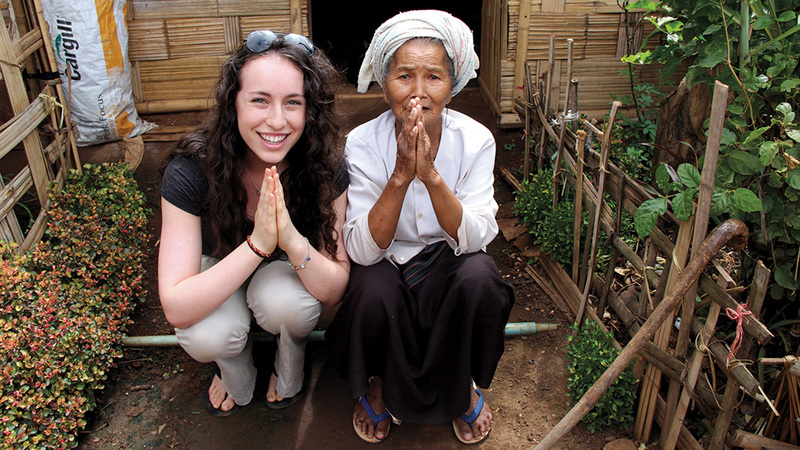 Kamen spent her time in Asia laying the groundwork. She arranged for the soap’s delivery, trained women and girls to recycle and remake the soap, taught them about sanitation and health, and paid them to share their knowledge in their home communities. Armed with soap they could sell, the program also offered an opportunity to earn a living. Four years on, the project, which Kamen dubbed SOAP — So Others Are Protected — now has 13 hotel suppliers and 14 community partners in countries such as India, Myanmar and Kenya, and has produced and distributed over 50,000 bars of recycled soap. SOAP became its own nonprofit in 2014, when Kamen was a high school junior. This summer, Sydney Kamen was named one of 15 recipients of the Diller Teen Tikkun Olam Awards, a prize from the Helen Diller Family Foundation that awards $36,000 each to up to 15 Jewish teens across the country for their work repairing the world. Since 2007, the program has awarded more than $3 million to 99 teens whose work spans everything from helping homeless youth to improving the fuel economy of school buses. Kamen also is a U.S. Army ROTC cadet and she has received widespread recognition for her work, including the President’s Volunteer Service Award. She said that she was thrilled to learn that she’d been recognized by the Diller Teen Tikkun Olam Awards. This story was sponsored by and produced in partnership with the Helen Diller Family Foundation, which sponsors the Diller Teen Tikkun Olam Awards, annually awarding $36,000 to Jewish teens demonstrating exceptional leadership in repairing the world. Nominations/applications for 2018 are now open.